Catch Up On the News With Summify. We Have Invite Codes! Summify automatically identifies the most important news stories for you across all of your networks and tells why they are important, so you can read what really matters. 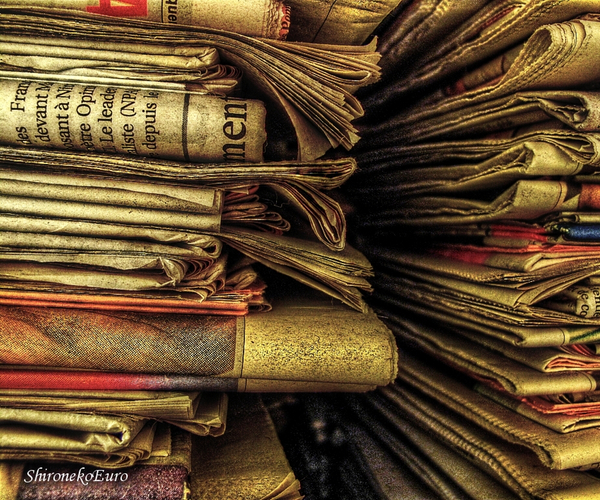 Consume your river of news in minutes, rather than hours! Hmm, now that sounds interesting. I follow thousands of people on Twitter, hundreds on Facebook, and well over 1000 feeds in Google Reader, so, yeah, sifting through all that information to get “the good stuff” is a chore. So I got a private beta code, hooked up Facebook, Twitter, and Google Reader in a few moments and … the information started flowing in. Which wouldn’t be too interesting if it wasn’t for what is going on behind the scenes. You have a filtered stream. The Top Stories section takes time to flesh out. 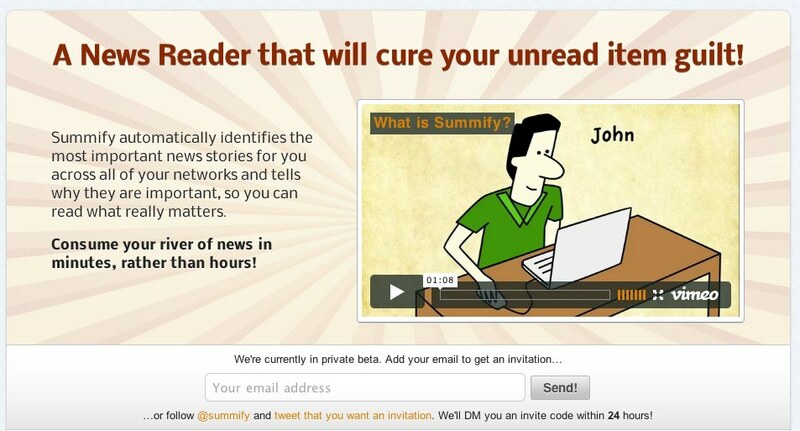 Summify, understandably, has to sample and filter enough of your social news stream to get what might be important. It took less than an hour for some top stories to start popping up. The problem I had with it at first was that I kept checking the “Recent” tab, which given my input volume, could get pretty overwhelming. I gave Summify permission to push notifications to me through Chrome and … wow. The other problem I had was that the “Top Stories” didn’t seem to move very fast. My news moves pretty quickly, so I want Top News updates frequently. What I decided to do was to give Summify a bit of a rest and come back to it. I came back to it today to see how my stream might be different and the Top Stories were a lot more interesting and up to date. While I was writing this post, another Top Story came in, so I think the initial problem was that I hadn’t given it enough time to perk through all the items. That said, Summify is great for a once or twice a day catch up, but might not be great for breaking news. Makes sense, breaking news hasn’t had time to be linked, RTed, and liked yet. 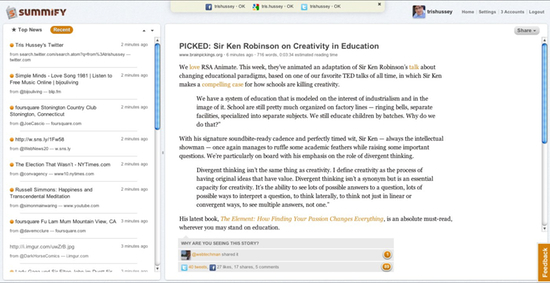 Maybe a first thing in the morning and end of the day check “what’s bubbling up” would be a good use for Summify. Again, as I’m writing this, a lot more “Recent” items bubbled in, some of which are just “meh” tweets, others are interesting. That, however, is what the Recents tab would be more about. What might be bubbling to the top and most of those won’t make “Top Stories” because they don’t get the right amount of velocity. Is your interest peaked yet? Really it should be. This is a free service that does some pretty cool things and is well worth a look. Oh, right it’s in private beta. You need invites to get in. 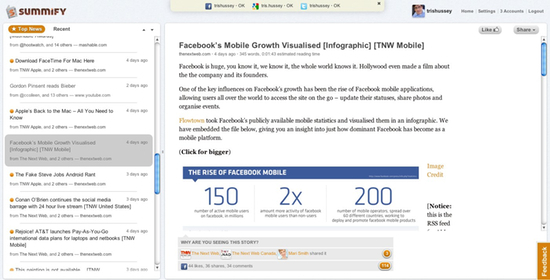 Now do you think here at TNW we’d leave you hanging like that? No way. We have a special TNW invite code for Summify that if you click that link you’ll get in right away, no lines, no waiting. I think the casual info junkie will be pretty impressed with Summify. It isn’t a replacement for Google Reader or NetNewsWire (at least for me), but I think it could become a good check in a few times a day just to see what it bubbling up to the surface. You ready to try now?